Around the world there are some really strange tourist attractions and this is why we have decided to use this block list of 10 not to be missed for those of you who like unconventional and surprising places. Places where chewing gum is allowed to be stuck on the walls , where rats are worshiped and , if you like noodles, there is also a spa where you can swim in a huge bowl of Ramen ! 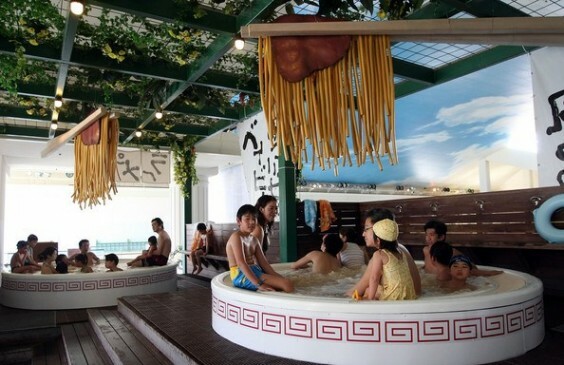 In this Japanese theme park dedicated to wellness in Hakone, Japan, visitors can enjoy an interesting mix of various hot springs combined with a strange option, the “Noodle Bar “. Here you can even swim in a bowl of Ramen. The tank could have an inviting smell, but it will be better to keep your mouth shut! 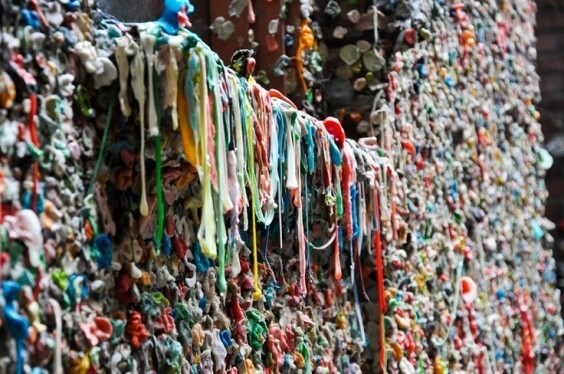 In San Luis Obispo, California, there is an entire wall of 20 meters completely covered with chewing gum! Although some might find it disgusting, the alley has become a popular meeting point for locals and continues to attract many curious tourists. Located in Rajasthan, India, the Karni Mata Temple is famous for its unusual inhabitants. Mice! 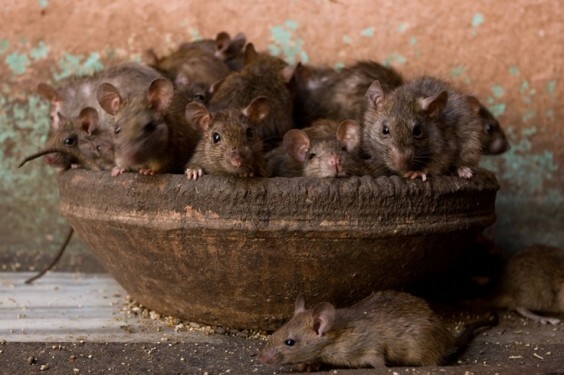 While in other places, these animals would be considered unwelcome guests – here they are hosts and worshiped as a tribute to Karni Mata Hindu deity, also known as the goddess of the rat. There are more than 20,000 mice which have made the temple their home and attract every year an increasing number of tourists. It is a place unusually wild , off-limits to those who are afraid of mice. 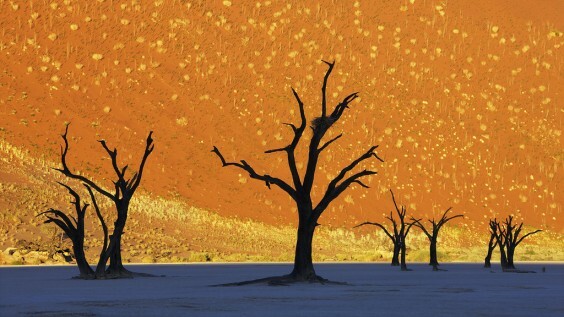 The Dead Vlei, or “Dead Marsh”, is essentially a forest frozen in time. The lack of water and intense heat burned all the vegetation of the valley, leaving only skeletons of trees that do not decompose because the earth is too dry. This unique, strange, natural landscape has captured the attention of many onlookers, especially photographers. The name explains it perfectly! 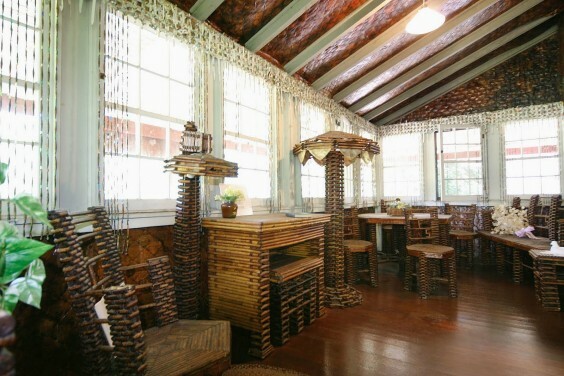 It is just a house made entirely of paper, including furniture inside. Located north of Boston, Massachusetts, this house was built by Elis F. Stenman in the 20s as a summer house for him and his family. He has served more than 20 years and 100,000 newspapers to end it! Definitely worth a visit, but leave out any flammable objects. Located in Suwon, South Korea, tourists can visit a theme park built around the story and the “culture” of the bathrooms! This place was created in memory of the former mayor of the city, a man responsible for a revolution in the field, having spent time and energy to improve the public baths of Suwon. 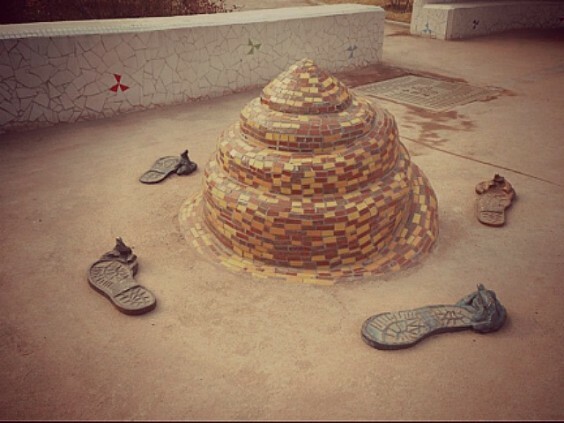 Although it opened its doors less than a year ago, the park began to attract many “toilet” themed art projects and also hosted the locally famous Golden Poop Festival! 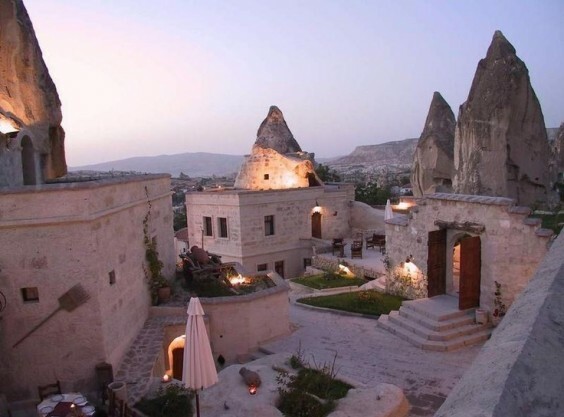 This hotel in Turkey is not as bizarre as incredibly creative. The rooms and suites are located inside of cave dwellings of the Roman and Byzantine periods, which perfectly combines history, modernity and luxury. It will be incredible experience that does not happen every day. This prison is a living museum, where visitors can see the inmates in the prison, look at the classrooms of the interrogations, and even speak with the manager. 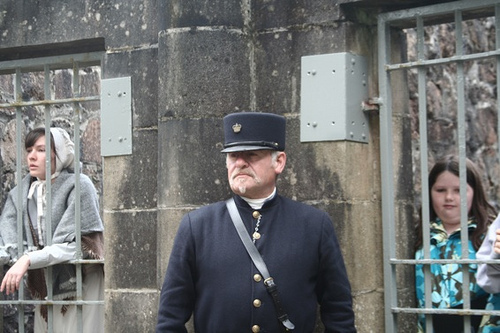 The prison is also open at night and tourists can participate in paranormal investigations and ghost hunting activities. It is peculiar, however popular Scottish attraction! Mike Carmichael and his wife Glenda possessed the largest “ball “paint the world! 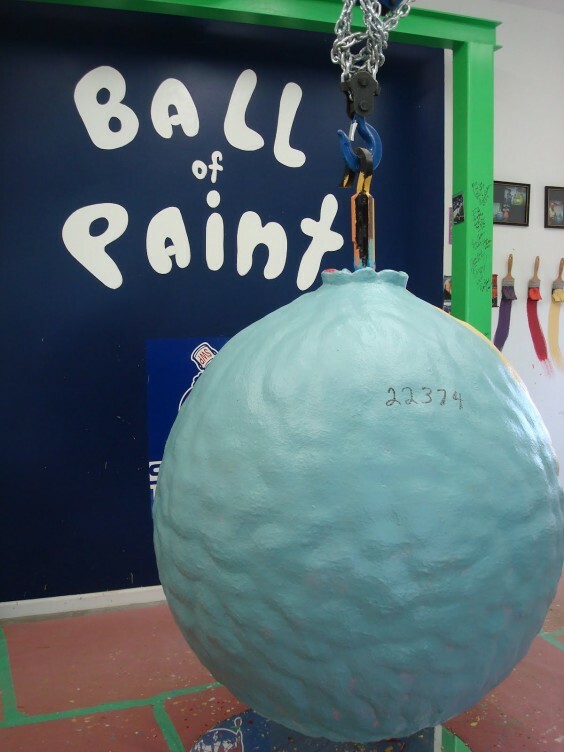 This object was originally a baseball, then it was covered in paint from the 3 year old son of the couple, 30 years later, this blob had over 20,000 layers and not only had attracted the attention of experts in the Guinness Book of World Records, but also of many visitors who come to add their own coat of paint from this monstrosity! 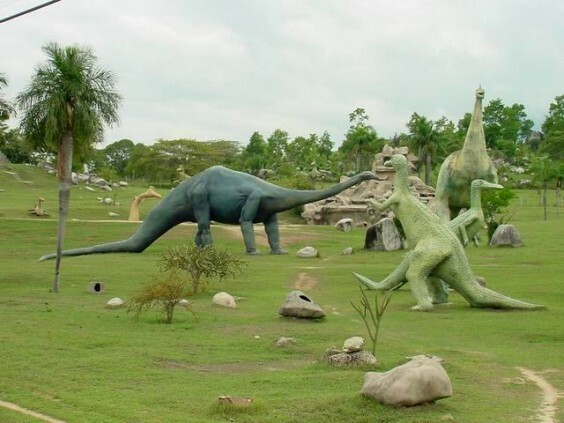 The construction of this bizarre prehistoric theme park in the province of Santiago de Cuba was carried out by inmates from a nearby prison – the park includes more than 200 reproductions of life-size dinosaurs, human statues and brontosaurus man from the Stone Age. We wonder what the creators of Jurassic Park think of this idea! Which of these strange attractions is your favorite? What other strange places have you heard of ?